Maharaj Shahaji Raje Bhosle, also respectfully known as Shahaji Raje Bhosle (March 18, 1594/1602 - January 23, 1664) was the son of Raja of Verul and the head of all Maratha King the best Maratha general in the Court of Sultanate . The eldest son of Maloji Raje Bhosle , The Raja of Verul, Shahaji inherited the Pune and Supe jagirs, under the Ahmadnagar Sultanate. During the Mughal invasion of Deccan, he joined the Mughal forces and served Emperor Shah Jahan for a brief period. After being deprived of his jagirs, he defected to the Bijapur Sultanate in 1632 and regained control over Pune and Supe. In 1638, he also received the jagir of Bangalore, after Bijapur's invasion of Kempe Gowda III's territories. 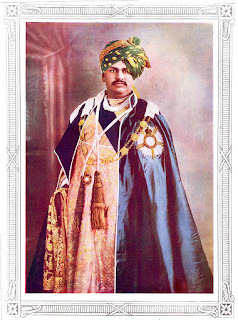 He eventually became the chief general of Bijapur and oversaw its expansion. An early exponent of guerrilla warfare, he brought the house of Bhonsle into prominence. He was father of Shivaji, the founder of Maratha Empire. The princely states of Tanjore, Kolhapur and Satara are also Bhonsle legacies. The Bhosale clan ,despite being from Maharashtra region claimed to be Rajput.Shahaji, in his letter to Adil Shah, called himself a Sisodia Rajput. Shahajahan dispatched a force of 48,000 to reduce Shahaji, Nizam and his ally Adilshah. Under such mounting attack Adilshah sued for peace. With the withdrawal of Adilshah's support, Shahaji could not hold much against the Mughals. His possessions were reduced quickly. In the fort of Mahuli he was besieged. Portuguese did not offer any help from naval side due to fear of the Mughals. In this war, Shahaji fought till the last. But, unfortunately Murtaza, the infant Nizam, was kidnapped by Mughals and for the purpose of saving the life of Nizam, it became necessary for Shahaji to make compromise. This compromise finished Nizamshahi. Shahaji, on the condition of protecting the life of little Mourtaza Nizam at any condition, handed him over to Shahajahan. Nizam was taken away by Sardar Ranoji Wable (regional sardar of Shah Jahan)to Delhi. He was inducted into Adilshahi. As a precaution Shahajahan, ensured that Shahaji was posted in deep south so as not to pose any challenge to Mughals. He finally became one of the top generals in the Adilshah's army, accepting a Jagir in his court, being based in Bengaluru (present-day Bangalore in Karnataka). This is one phase of Shahaji's life. In 1638, a large Bijapur army led by Ranadulla Khan and accompanied by Shahaji defeated Kempe Gowda III and Bangalore was given to Shahaji as a jagir.Shahaji successfully led the Bijapur army to many victories against the Rajas of southern India. Instead of punishing or executing them, Shahaji reprieved all the Rajas. The Rajas thus developed healthy relations with Shahaji and offered military support to Shahaji whenever required. Meanwhile young Shivaji started capturing territory controlled by Adilshah around Pune. AdilShah, alarmed by the activities of Shivaji in particular, deceitfully captured Shahaji and imprisoned him as he suspected that Shahaji encouraged Shivaji. Two expeditions were sent simultaneously against Shivaji and his elder brother Sambhaji, who defeated Adilshahi forces. Shivaji meanwhile approached the Mughal Emperor, Shahjahan, seeking help against Adilshah. Fearing another Mughal campaign against Bijapur, Adilshah released Shahaji from prison. However, the elder son Sambhaji was killed during an expedition due to the treacherous role of Afzal Khan. Later Shivaji killed Afzal Khan. Thus these events proved that Shahaji had taken a sensible decision in keeping Shivaji in the original stronghold of Pune barring which, like Shahaji, Shivaji would have been imprisoned or killed like his elder brother. This period of crisis was overcome by sacrifice and personal bonds of the family. Shahaji actively supported Shivaji in his earlier enterprises, like the campaign against Afzal Khan. Sensing treachery by Afzal khan, Shahaji was waiting near Bijapur with his army of 17,000. 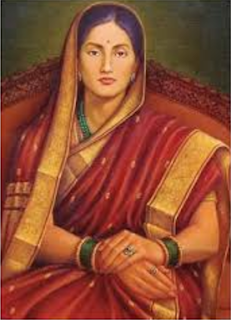 He had warned Badi Begum of Adilshah that, if Afzal Khan and his Adilshahi forces killed Shivaji by deceit, then there wouldn't remain even a brick of the Adilshahi kingdom. Shahaji died around 1665, after falling off his horse during a hunt. Shahaji had two sons by Jijabai, Sambhaji and Shivaji. Sambhaji was killed by Afzal Khan. He was cremated in town of Channagiri Taluka of Davanagere district of Karnataka. Shahaji had one son Venkoji(Ekoji I) by his second wife, who came from the Mohite family. Venkoji later ruled over the independent Maratha kingdom of Thanjavur. Shahaji groomed all his sons as good administrators and men of culture and taste, Shivaji in the Pune region, Sambhaji in Banglore and Venkoji in Thanjavur region. Shivaji encouraged farming and cultivation, similarly Venkoji also dug canals in Thanjavur and promoted farming activities. Both were good administrators. Like Shahaji, they were scholars and warriors. Shahaji had caused a champukavya. At Bangalore, literary activities were promoted by him. His court poet Jayram Pindye composed Radha Madhav Vilas Champu in flowery Sanskrit. His literary traditions were carried on by his sons and had strong influence on the mind of Shivaji and the Thanjavur branch. Shahaji samadhi/tomb is at Hodigere near Channagiri (Davangere Taluka) in Karnataka.